Louisa Ellis Woodson has been playing the harp since age nine. In May, 2008, she received her Doctor of Musical Arts degree in harp from Manhattan School of Music in New York. She also holds Bachelor and Master of Music degrees in Harp Performance from Indiana University, where she studied with Distinguished Professor Susann McDonald. Dr. Woodson has served as the Adjunct Professor of Harp at Baylor University in Waco, Texas. 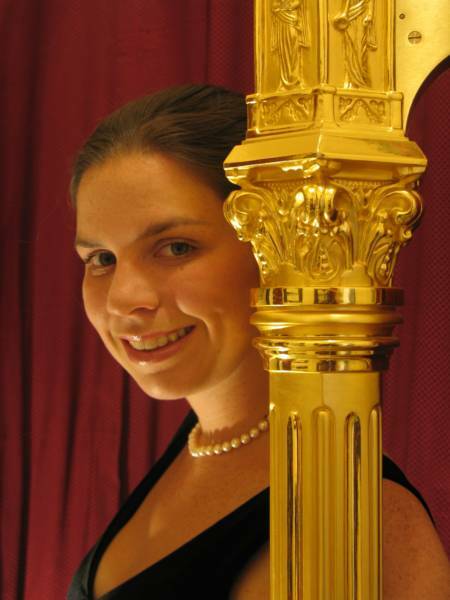 In addition to maintaining a private harp studio, she is the former Principal Harpist with theWaco Symphony Orchestra. 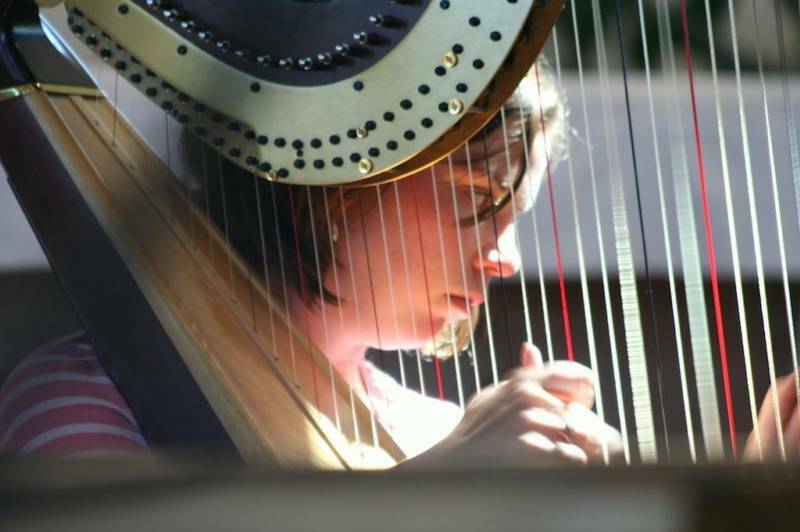 She recently participated as a guest faculty member in the Young Artists' Harp Seminar in Rabun's Gap, Georgia. She has appeared in many types of theater productions, including ballet, opera, and musical theater, and has appeared in the New York Musical Theater Festival. She also enjoys performing with other musicians, including combinations with violin, cello, voice, organ, flute, and trumpet, to name a few. 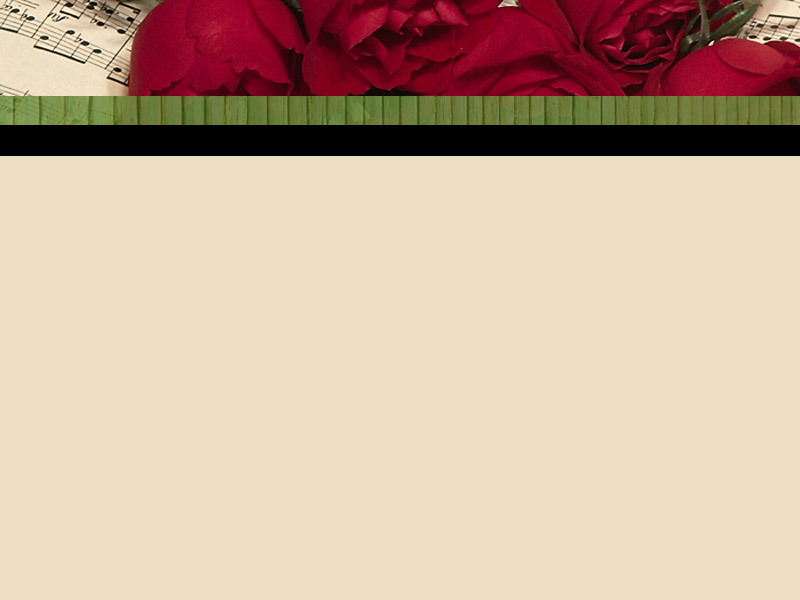 Dr. Woodson is also a founding member and proud participant in the Astraios music network. Solo work includes recitals in several states, along with countless performances for weddings, receptions, church services, funerals, parties, and other events, ranging in styles from classical to light pop. Originally from Louisville, Kentucky, Dr. Woodson is delighted to have recently moved back home from Austin, Texas with her husband, son, and small zoo. "The orchestra used... Louisa Ellis Woodson's lovely harp enchantments over the standard woodwind, piano, bass, cello, and drums... This was quite a musical and visual feast for a Sunday afternoon!"